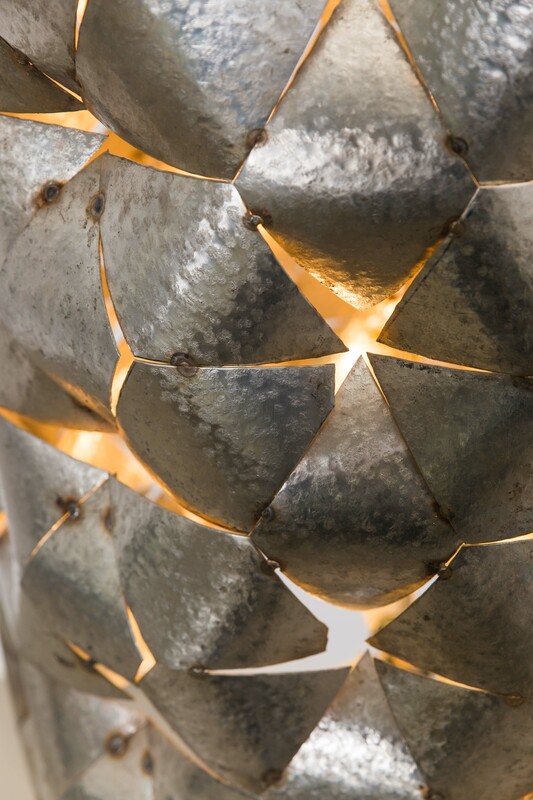 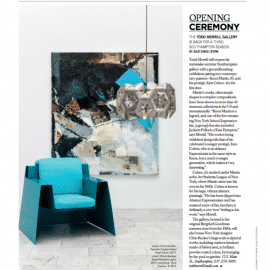 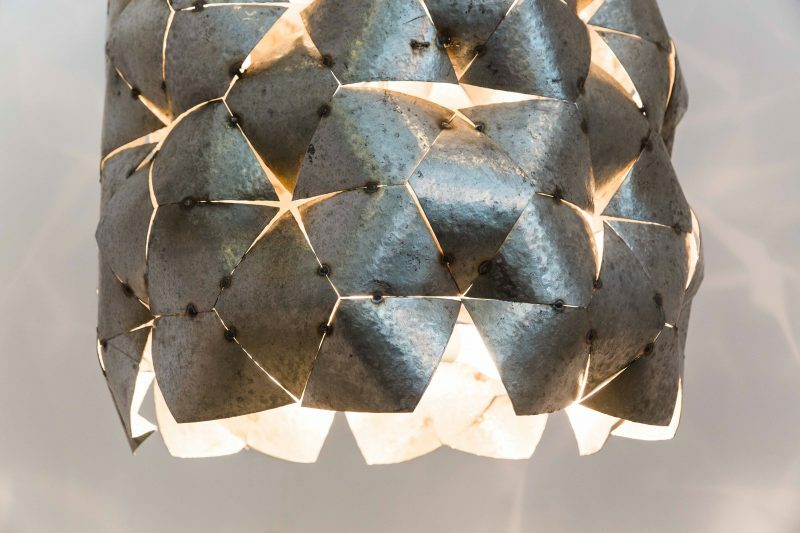 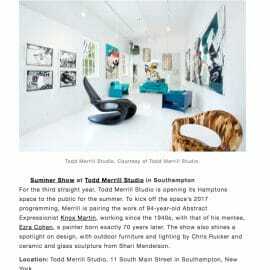 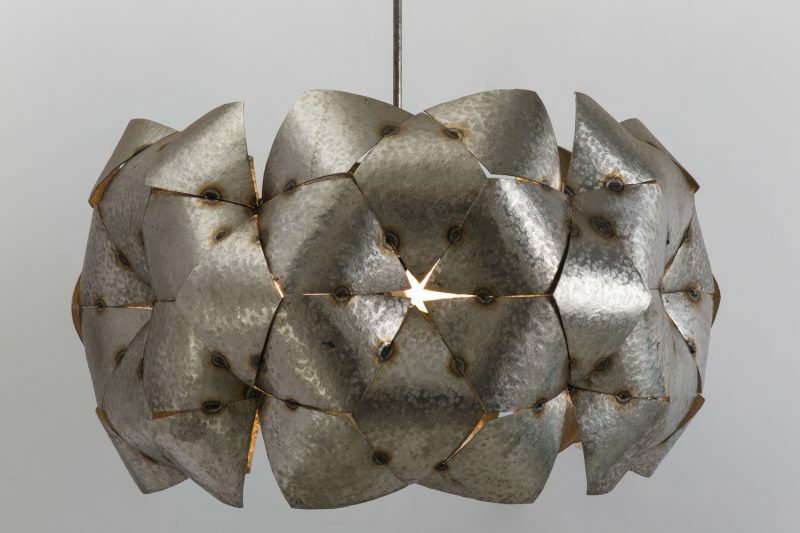 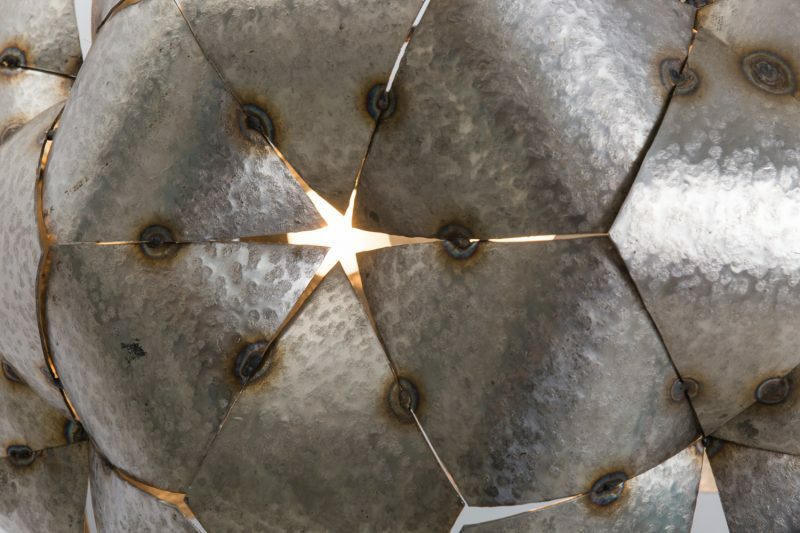 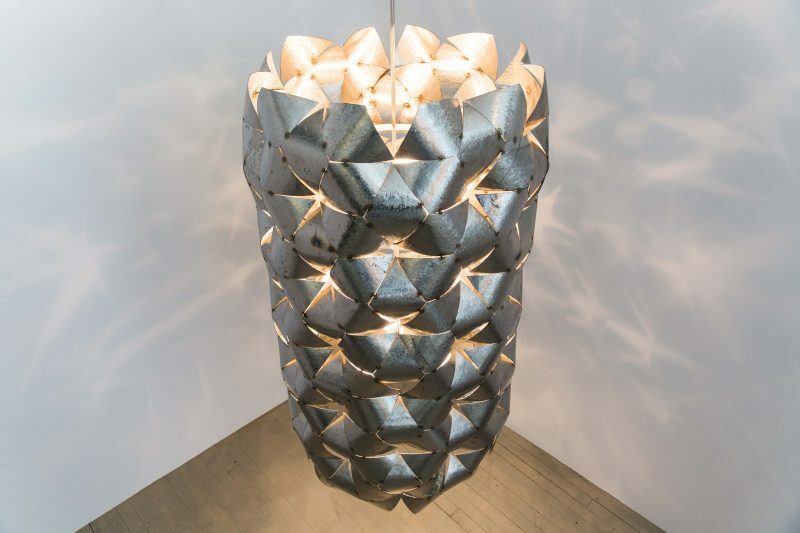 Todd Merrill Studio presents Chris Rucker’s unique lighting made of recycled construction materials. 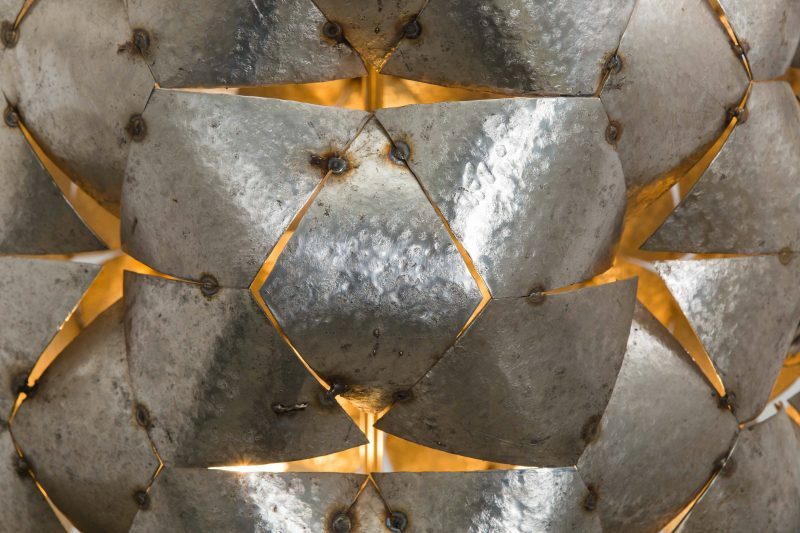 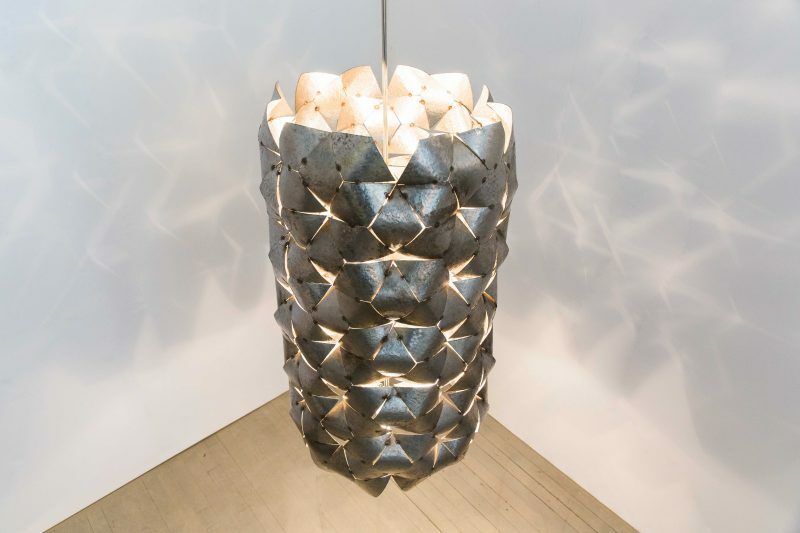 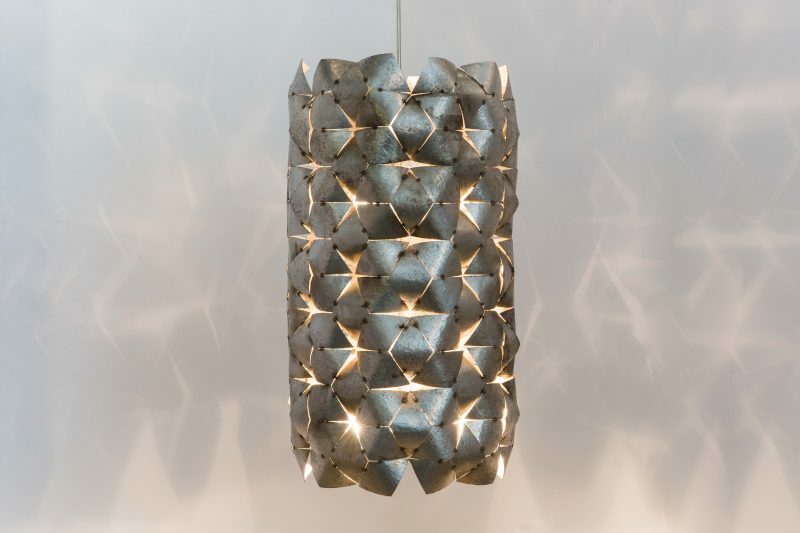 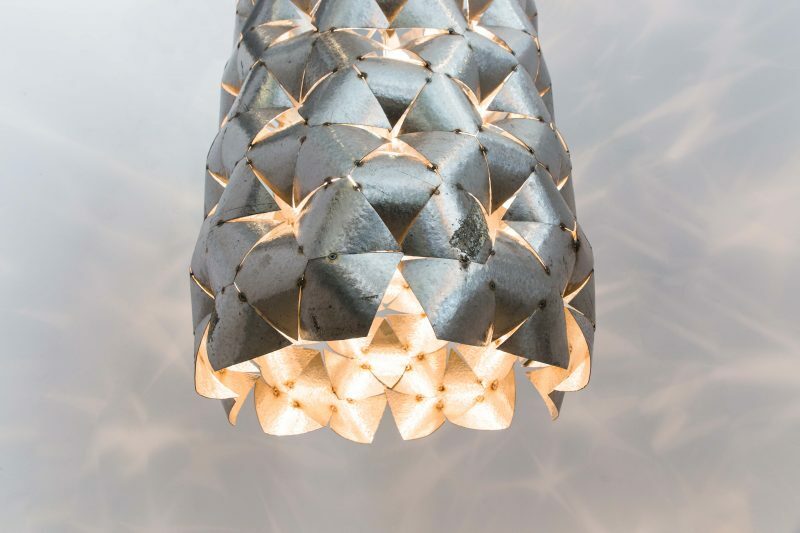 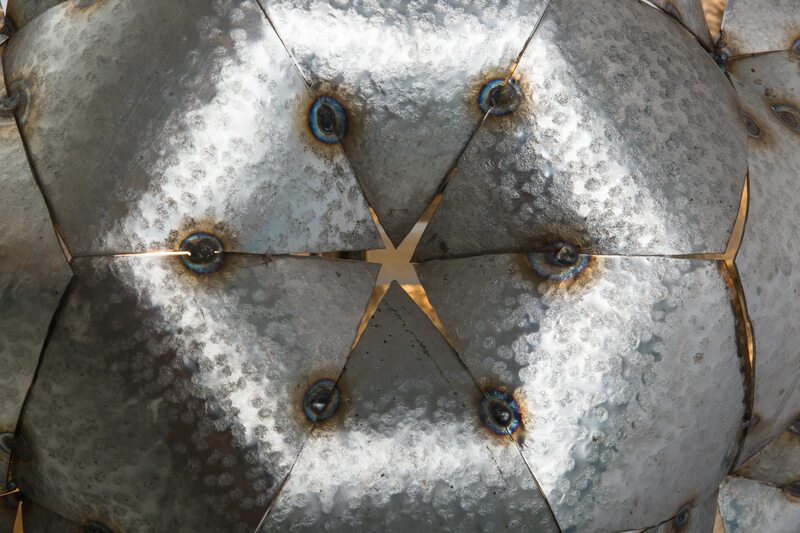 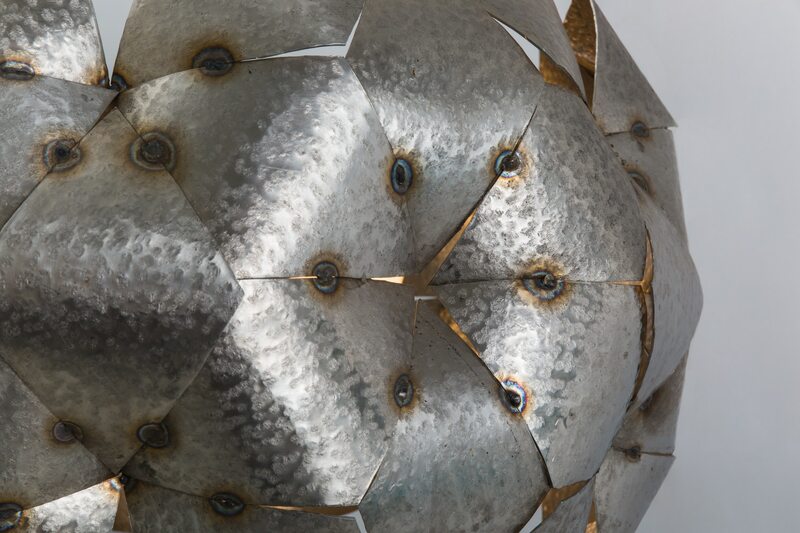 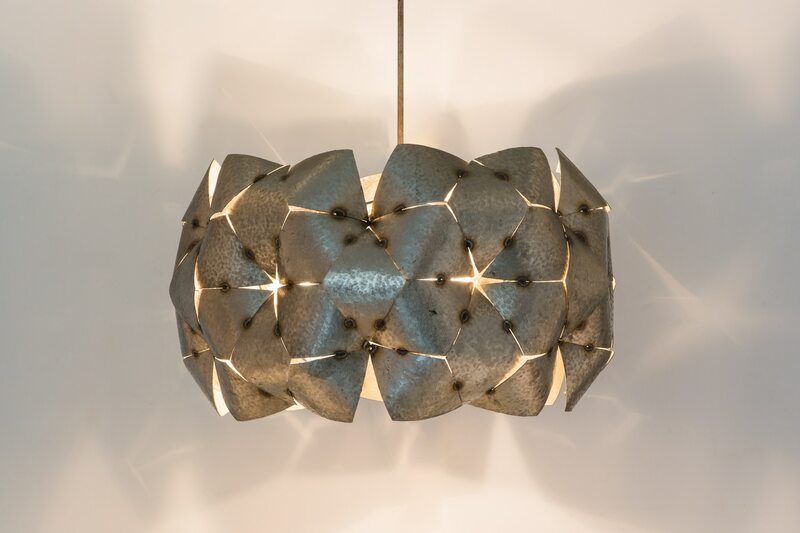 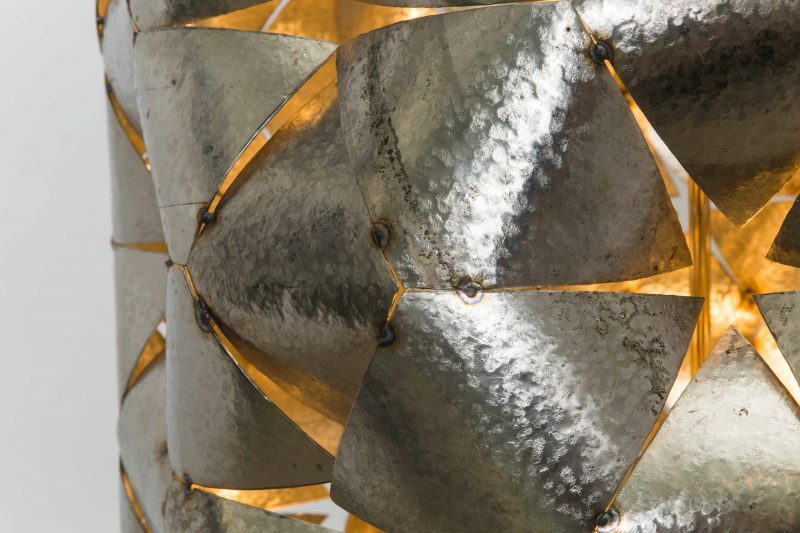 Each Steel Pendant Light is made of stainless steel that has been cut into individual diamond shapes, bent, and spot-welded together to make a cylindrical form. 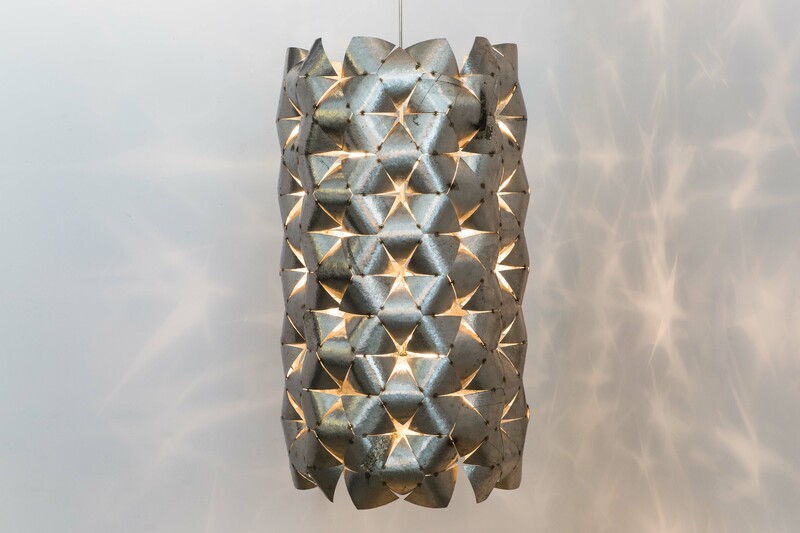 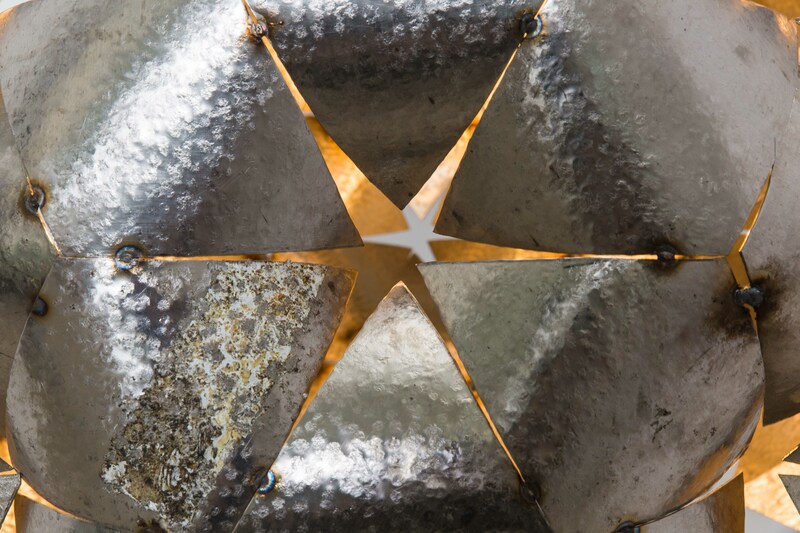 The open star pattern of the pendant casts glittering, star-shaped lights. 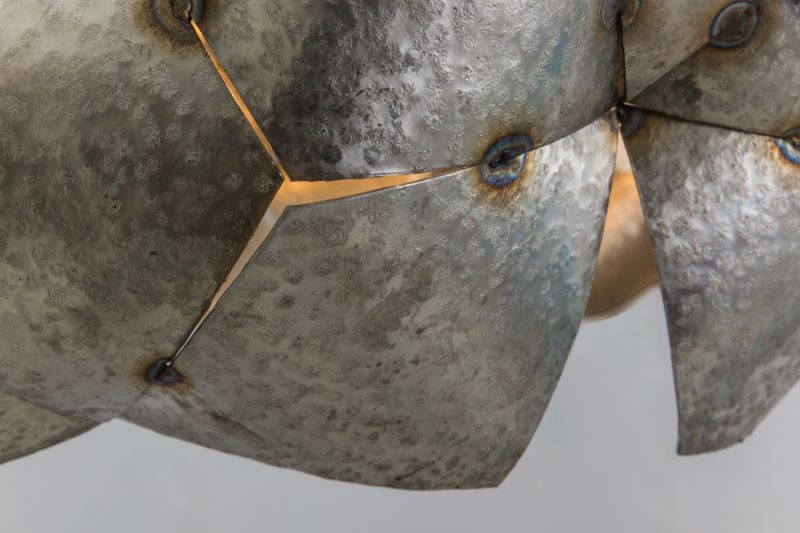 Blurring the boundaries between the durable and disposable and the delicate and permanent, Rucker challenges notions of form and function. 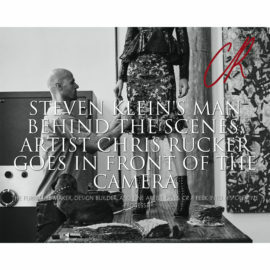 As the artist is available on a commission basis, custom dimensions may be accommodated.